We’re proud to have the privilege of offering inventory from Sergio Sanchez Currency and Coins on our website. Sanchez is a large size note specialist with an amazing inventory of rare and highly desirable notes. 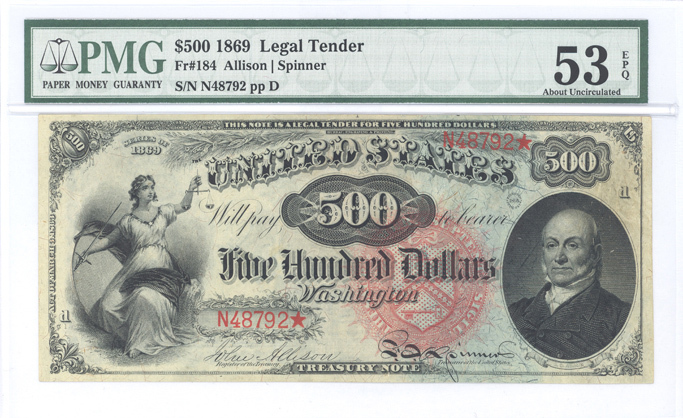 Large size Legal tenders and Silver Certificates are among the most plentiful of notes in Sanchez’s selection, although Obsolete Bank Notes, National Bank Notes, and select Small Size notes are also available. 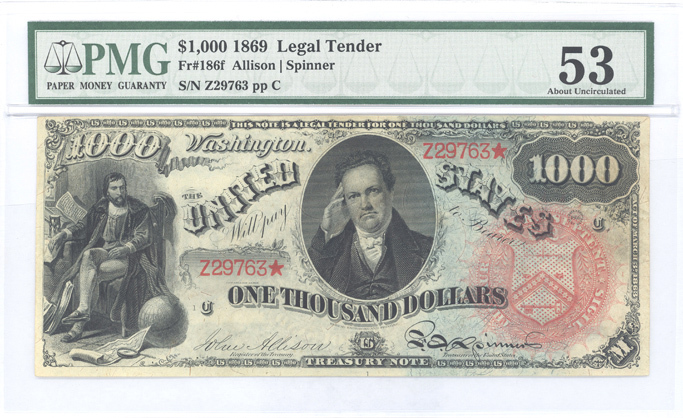 Sanchez recently brokered a record sale between two anonymous parties for 2/3’s of United States Currency’s “Triple Crown” notes: Friedberg 184 1869 $500 Legal Tender and Friedberg 186f 1869 $1000 Legal Tender. The notes were offered for sale by a private seller and were sold to another private collector. The final sale price is confidential, but Sanchez remarked that it was in the seven figures range. This comes as no surprise given that these two notes are unique in private hands. Will we ever see them surface again? In all likelihood, not for several years (or even decades). For those with a substantial bankroll, these notes are not only amazing trophies of the currency collecting hobby, but also terrific investments. There’s no doubt that the next time they’re up for sale – individually or together – it will be another record breaking event! PaperMoneyAuction.com welcomes KDCurrency.com as its newest dealer!